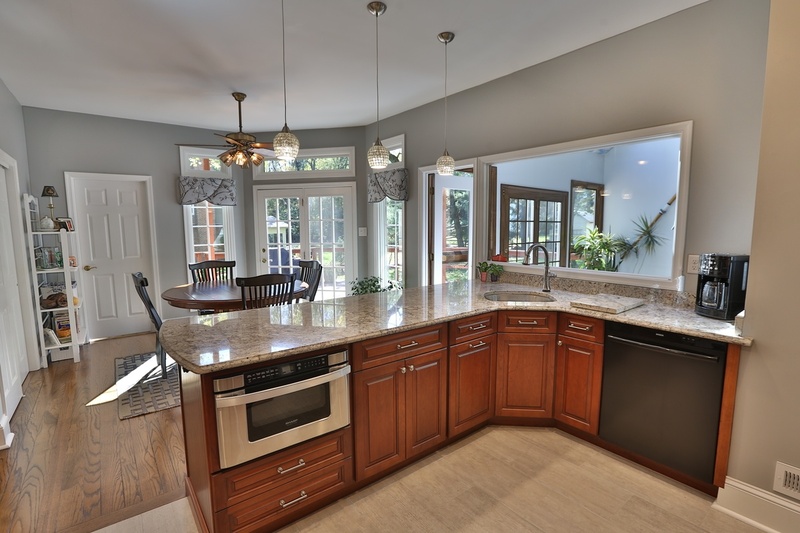 Sure, quartzite countertops, glass sinks and flashy wallpaper seem to get all the attention at home design shows. But what about what you’re standing on right now? And materials that will work in a "real" home? From artisan tile to softer carpeting to roughed-up wood to luxurious vinyl, the flooring world is turning and homeowners are getting on board. 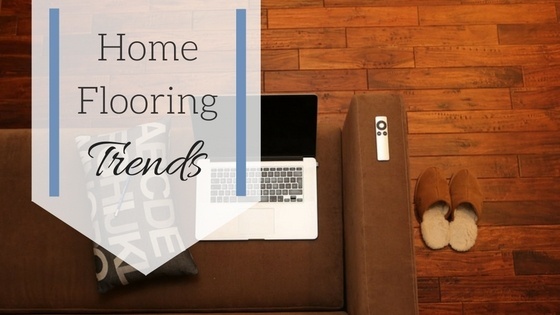 Whether you are renovating your entire kitchen, or just giving your flooring a face-lift, here are a few of the flooring trends to hit the ground running, so maybe they'll make an appearance in your home soon. We can’t talk about tile without mentioning its tremendous growth—as in a renewed interest for large format tile. We’re not talking about 12”x12” tiles. Try 12”x 24” or 36”x36” tiles on for size. 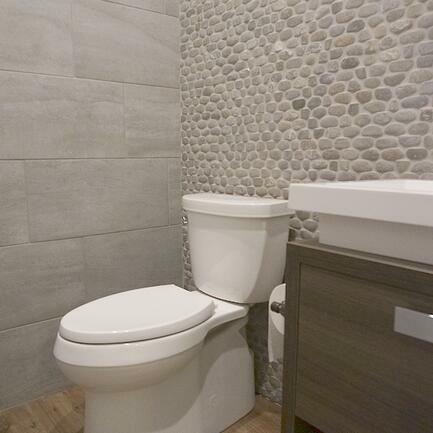 The benefits include less grout to clean, contemporary lines and an added expansive look for the floor or your walls. The new favorite tile shape to emerge is brick. They’re all different sizes and styles, from polished to rustic. They’re slip resistant, easy-to-clean and fire resistant. The hot color is actually cool. Gray. Although it’s always been popular among designers, there has been a spike in tiles that are pale gray, metallic, beige and cooler slate tones. To create a classy, modern look, you’ll see the addition of texture, patterns and lines. Chevron, the Y-shaped design, is still going strong. When it’s used sparingly, it can have quite a dramatic effect. Especially in smaller bathrooms. It's getting darker, as in ebony or espresso, or charcoal stains. The deep color offsets light décor and camouflages imperfections. Just like tile, light shades of gray are becoming more popular with hardwoods. While they’re more expensive, it’s the new neutral, unexpected and quite beautiful. Homeowners really like rustic chic and the wide plank hardwoods give a house that type of feeling. Increasing the size from two inches to five inches can make that difference. Speaking of rustic, people like the worn-in look. Just look at all the holes in brand new blue jeans! Using reclaimed wood features natural character and imperfections and it’s eco-friendly. Like the aforementioned jeans, however, it doesn’t come cheap. One alternative is machine-stressed wood that can achieve the same effect for a fraction of the cost. Another cost-effective approach with wood flooring is the use of laminate and tile versions. Laminate is a thin piece of wood on a core that’s made of something else. It creates stability and of course it’s less expensive than solid hardwood. We can help you decide if this is the right choice for your home. Now with engineered bamboo, which takes the inner fibers of the plant, wider planks, colors and styles can be produced. The current favorite is a style called cut and loop. It sounds like the shag you might remember from the '70s but actually it’s a new manufacturing technique in which the pile is partly cut and partly looped to create a sculpted look or intricate designs from silky soft fibers. Silk. It’s the return of luxury carpet. Some manufacturers use three times the number of fibers of other carpet. Green carpet. Not as in the color green, but rather recycling nylon or polyester, for example, into fiber for carpeting. 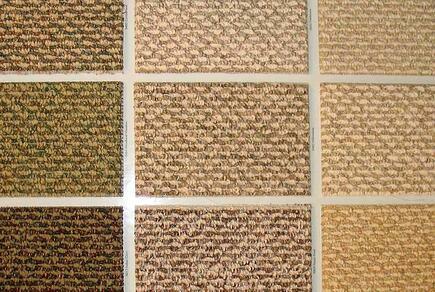 Berber is a popular texture that now often icorporates for recycled materials. Believe it or not, vinyl is the fastest-growing sector of the flooring industry right now, according to the World Floor Covering Association. But it’s not the old-fashioned, peel-and-stick vinyl; it’s a new, dare we say, luxurious material developed by using photo technology that mimics wood or tile so closely you won’t know it’s vinyl at all. It’s durable, stands up to moisture and fun to play with patterns and colors. Some of it even looks like marble and you can put it in bathrooms (which helps with a floor that is not so cold on your feet!). You want to go ultra modern with that sleek, shiny, smooth look reminiscent of a SoHo loft? Try concrete. It’s back in style in a variety of colors and glosses to bring warmth to the cold stone. 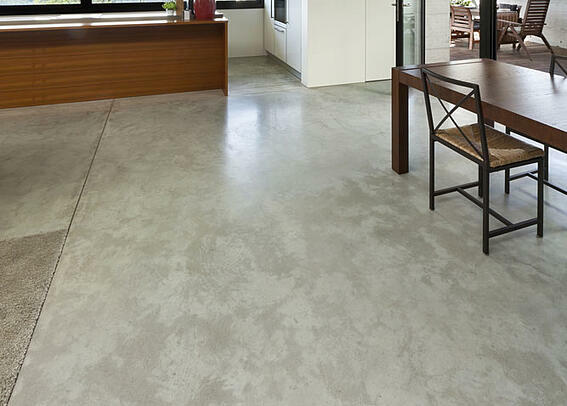 Concrete works in high traffic places, like mudrooms and kitchens. But make sure you have some soft slippers handy. It’s still uncomfortable to walk on - so you might want to save it for the garage). It’s the antithesis of concrete of course, as its main selling point is that it’s so darn comfortable to walk on. It’s more durable with a larger color palate (not just that corky beige you’re thinking of). But it’s still susceptible to moisture damage and fading. You should carefully consider where to place cork flooring in your home, and we can help walk you through the options. 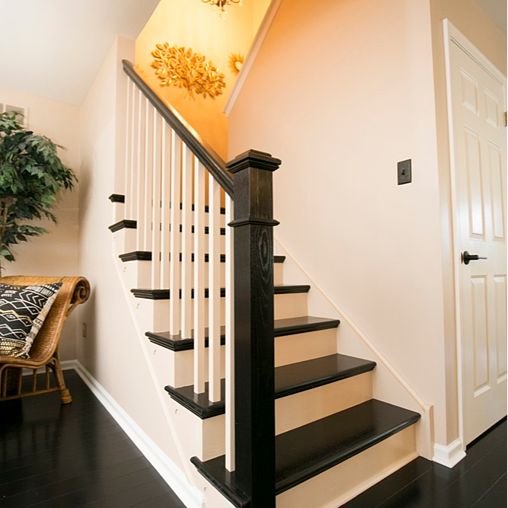 As part of our Design-Build Process we will help you determine which flooring works with your home's needs, your design wants, and your overall budget.